Many of you have been asking about Summer 2017 dates. We worked hard to put our schedule in order so we could get them to you. Put these on your calendar and plan now for summer camp! The schedule is very similar to last year. Throughout the summer we will have three different weeks of “Core” for 9-13 year-olds. 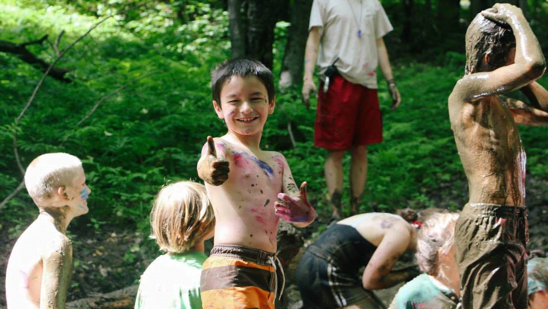 These weeks are the heart of Bethany Birches where we do classic and traditional BBC activities like Messy Monday, Wet and Wild Wednesday, Mud Pit, Plenty of Pond Time, and more! Campers are welcome to come to one, two, or all three of these weeks. And yes, we did adjust the aging of Core A to allow 9 year-olds to come to our Core program! Summit weeks are for older campers who enjoy BBC but desire more free time, cooler games, and unique activities like Night Group Games! Summit High has trips and activities totally unique to that week, so stay tuned for more information on that! If you’re a teen camper and you love camp why not consider the leadership development programs? They are the perfect way to get the inside track to being a counselor or staff member. Summer ends with a week for the youngest campers. Launch is a great opportunity for your 6-10 year-olds to experience some classic BBC events and activities that have been specifically geared for their age. Is your child uncomfortable going overnight? Launch Day Camp! Perhaps they want to try overnight but for a short bit. Launch Half! The launch programs are a great introduction to any young camper. We’ve also updated our website with these new dates. This is a great way to share about the upcoming summer with your friends! Online Registration for Summer Camp will open Nov 11. In the meantime, check out information on Winter Camps coming up this February! Registration for winter is open right now! We hope to see you up at camp this summer!